Agriculture is crucial to achieving global goals, including the Sustainable Development Goals (SDGs), and climate change mitigation and adaptation goals of the Paris Climate Agreement. Climate change and agricultural outcomes potentially influence our ability to achieve all 17 SDGs, and successfully achieving these goals will entail reaching the world’s half a billion farmers by 2030 with new knowledge, finance and capacity to transform livelihoods. As part of the Paris Climate Agreement goal of limiting global warming to 2oC, annual emissions reductions from agriculture must reach 1 gigatonne of carbon dioxide equivalents (GtCO2e/yr) by 2030. Yet plausible options to do this only deliver 21–40% of this target. Never before have agricultural systems faced such ambitious goals. In order to achieve these, a transformation is required within the next decade in the way agricultural systems and broader food systems function. Such a transformation will be characterised by fundamental changes to food systems, as opposed to incremental adjustments. Transformative actions across food systems can include the application of next generation technologies, increasing investment flows and improving returns, changes to patterns of landholdings, enhancing capacities of women and men, and changes to distribution and dynamics of the population and labour force. Such a transformation would generate multiple benefits, including education, nutrition, health, water and sanitation, and empowerment of women and youth, translating into transformed and thriving rural livelihoods and communities. In this context, the case for transformative actions is undeniable. 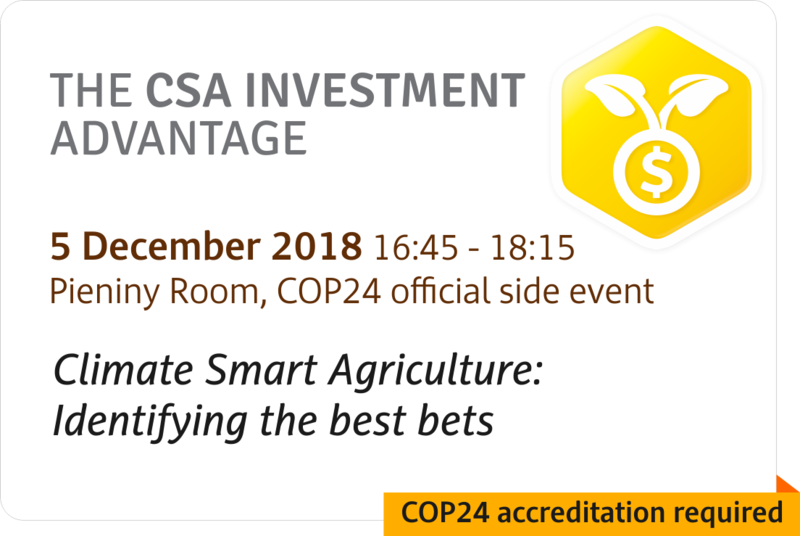 At COP23 in Bonn, the Agriculture Advantage event series was initiated by likeminded organizations, which brought together over 400 diverse stakeholders to put forward a vision and action agenda for transforming agriculture under climate change. 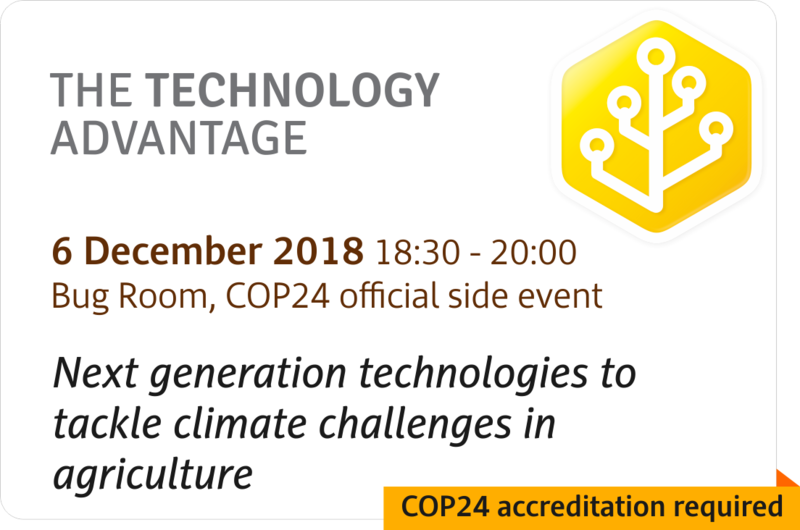 In its second year at COP24, the series will focus on implementing the action agenda and realizing the vision for transformation. 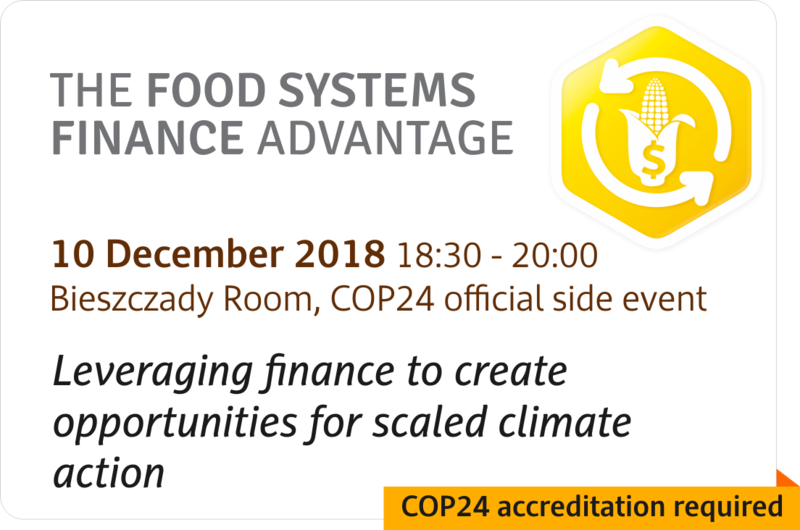 The event series will link multiple side events held during the 2 weeks of COP24 into a single theme, “Agriculture Advantage 2.0: Transforming food systems under a changing climate”, with the effect of a day-long conference, spread out over multiple days. The aim of the event series will be to step up actions to drive a transformation within global food systems that will help to achieve food security, adaptation to climate change, and mitigation of greenhouse gas emissions from the sector. Click on the boxes below to learn more about the events. Register for the opening and closing events here. All other events do not require prior registration. 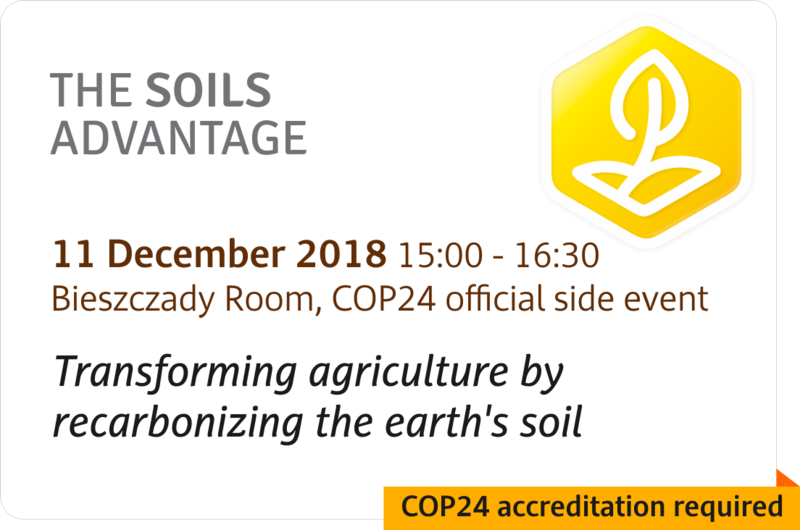 COP24 accreditation is required for some events, as indicated above.